Mud & Mirror work (also known as Lippan Kaam ) is a traditional Mural Craft of Kutch, Gujarat India. Mirrors on Lippan art glimmer and glitter with change in light. This art allows one to feel earth in their hands. Join in for an interactive art workshop and create a beautiful hand made Lippan Art for your home. 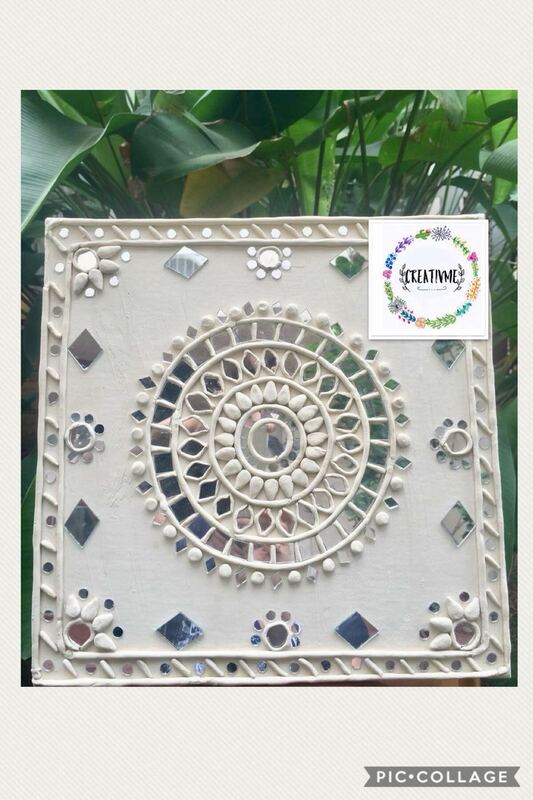 Indulge with Mud & Mirrors and let your creative juices flow in a perfect artistic ambience, interacting with like minded people. Fee : Rs 2000 (Includes all material) – Booking fee is Rs 500/- Balance to be paid at venue.